Sweden might be small but it’s home to some of the world’s most amazing places to stay. 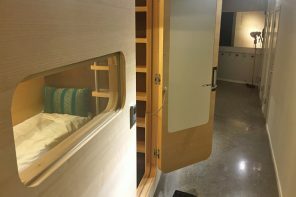 Travel around the country and you’ll soon start encountering quirky hotels and hostels that go way beyond the usual bed-in-a-box format of most modern digs. 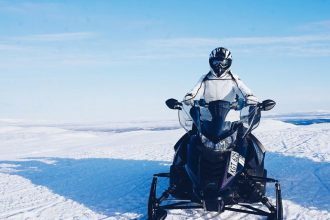 In this guide we’ve rounded up some of Sweden’s most iconic and creative accommodation, from central Stockholm to the furthest-flung corners of Lapland. These are not Sweden’s cheapest crash pads, we’ll admit – but if you’re up for a splurge, they’re sure to make your trip extra special. 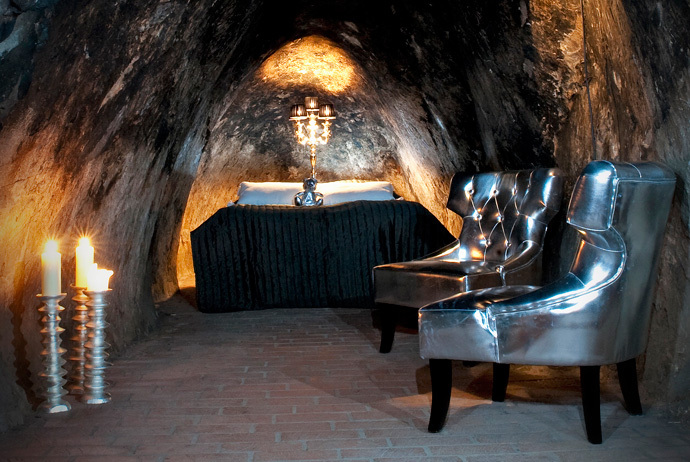 Fancy spending a night below ground in an old mine? We’ve got it covered. Prefer to keep it cool on a bed made of ice? No problem. Or maybe you’d like to try sleeping underwater? 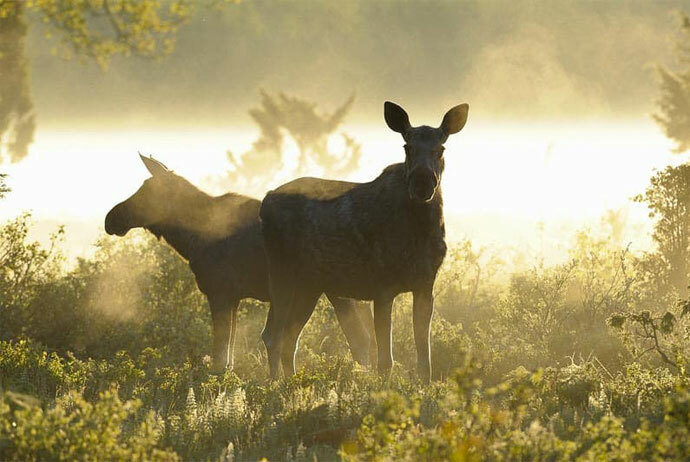 Our guide to Sweden’s best places to stay will help you on your way. 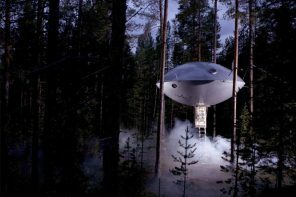 Tucked away in the remote northern village of Harads, 90km northwest of Luleå, the incredible Treehotel has six rooms suspended among pine trees near the Lule River. Even the names of the rooms are tantalising – you can choose to spend your night in the UFO, the Cabin, the Dragonfly, the Blue Cone, the Bird’s Nest, or the ingenious, semi-camouflaged Mirrorcube (pictured here). All of the ‘treerooms’ have their own personalities, and you’d have to spend a night in each (and be rather rich) to discover all of their quirks. 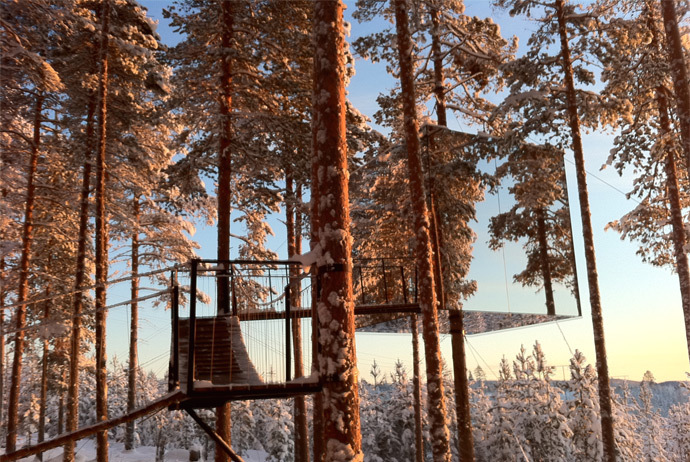 If you’re just passing by and don’t have the budget for an overnight stay, you can take a guided tour of the Treehotel for around 150 SEK. Every year, when the fleeting Arctic summer gives way to winter, work begins on the reconstruction of a true Swedish institution. Built annually from the frozen waters of the Torne River, the Icehotel offers intrepid guests the chance to bed down on reindeer skins inside rooms made from snow and ice. 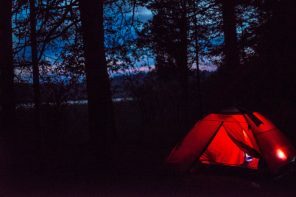 The temperate hovers at around -5°C, even if it’s much colder outside, and you’ll be kept warm by heavy-duty sleeping bags. The ‘ice suites’ are designed by a different group of selected artists every year, so no two versions of Icehotel are ever the same. Prices are high, as you might expect, but the Icehotel is a proper work of art, and a stay there is something you’ll never forget. Not got the budget to spend the night there? 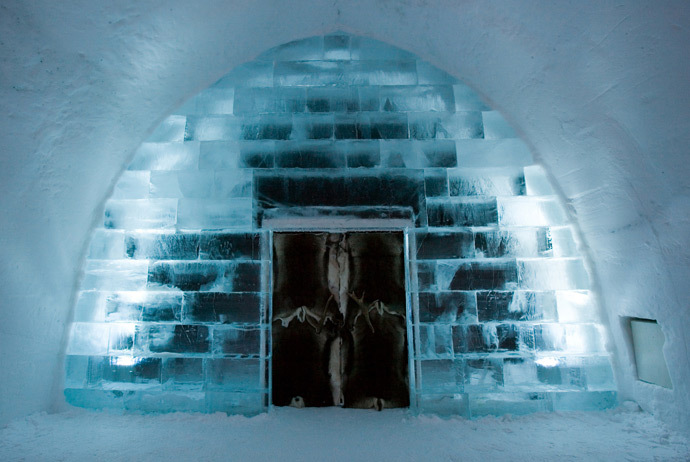 Read our guide to seeing the Icehotel on a budget. It’s rare to get a good night’s sleep on a plane, but it certainly helps if the plane never leaves the ground. 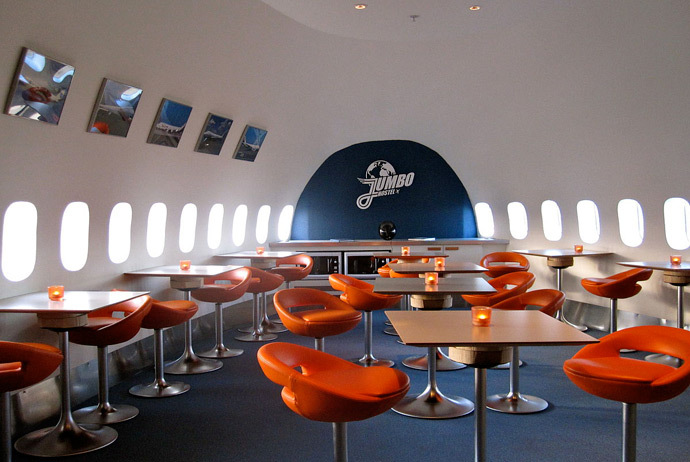 Jumbo Stay is a converted Boeing 747 that retired from a distinguished career with Singapore Airlines, Pan Am and Transjet back in 2002 and started a new life as Arlanda Airport’s most iconic hotel. An instant hit upon its opening in 2009, Jumbo Stay now has a mix of dormitories and private rooms spread along the fuselage. The flight deck is home to a double room with an en-suite bathroom, and there’s a wing-top observation deck for amateur plane-spotters. 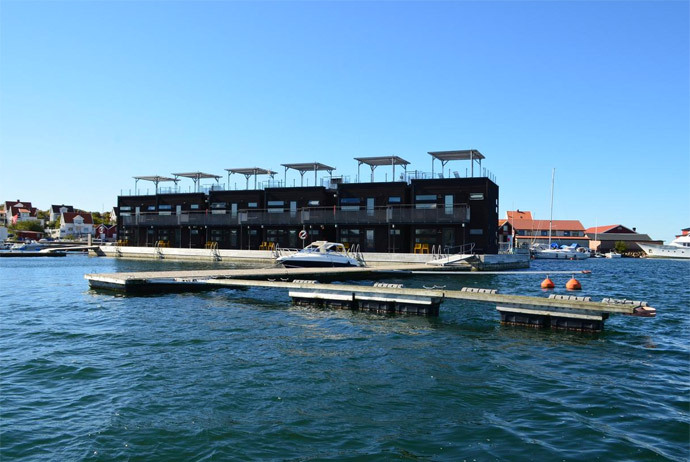 At first glance, Hotell Utter Inn in Västerås (April–October only) seems like nothing more than a small cabin floating on a raft in the harbour. 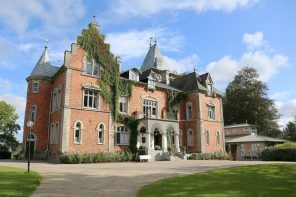 Step inside and you’ll realise that this is one of the country’s most amazing one-bedroom hotels. There’s a kitchen and a WC above water level, and three metres below the surface there’s a bedroom with panoramic windows looking out into the watery underworld. A stay here gives a whole new meaning to the phrase ‘sleeping with the fishes’. The only way to book this place is to contact the local tourist board. For those who want an even deeper sleeping experience, Sala Silvergruva is the place to stay. Located in the town of Sala, 120km northwest of Stockholm, Sala Silvergruva was once an enormous silver mine; for eight centuries it was plumbed for the precious metal. The space vacated by the vast silver deposits now plays host to ‘the world’s deepest hotel suite’, a full 155 metres below ground level. It’s surprisingly bling, and with no mobile phone coverage so far down, tranquillity is guaranteed. Guided tours of the mine are available for those who want to try something adventurous after a refreshing night’s rest. If you can’t afford to stay in the subterranean suite, there’s also an affordable hostel at the mine. 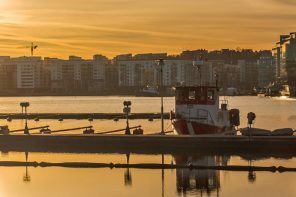 Wander around Stockholm for a couple of hours and chances are that you’ll catch a glimpse of a magnificent white sailboat moored off the island of Skeppsholmen. 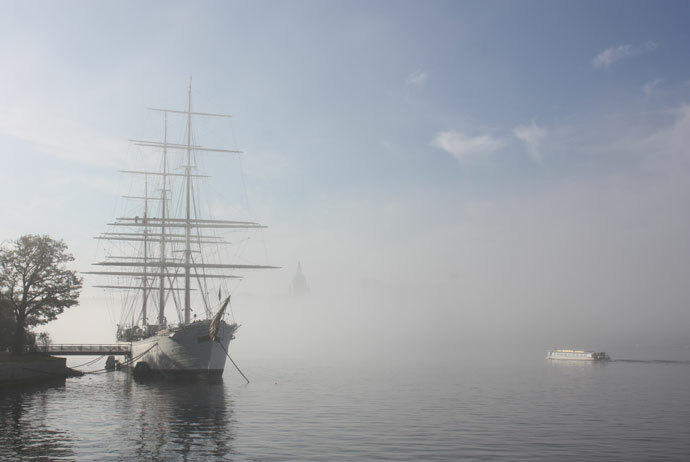 That’s Af Chapman, the most iconic of Stockholm’s many floating hotels. 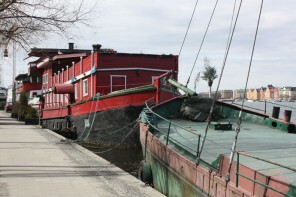 Like Jumbo Stay (see above), Af Chapman enjoyed a storied history before entering the service industry; it sailed the seven seas between 1888 and 1934, before being repurposed to accommodate members of the Swedish navy shortly thereafter. Nowadays its 77 rooms are available to all. With a historic feel that befits its remarkable backstory, Af Chapman offers unparalleled views of beautiful Gamla Stan, easy access to central Stockholm, and surprisingly affordable prices. Fully booked? Try these other floating hotels in Stockholm. Kiruna is a peculiar place. It’s home to the world’s largest iron ore mine and the most beautiful building in Sweden, and will shortly have a real-life spaceport in its vicinity. As if that weren’t enough, the whole town is currently in the process of being moved. 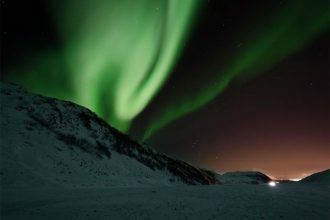 On the eastern edge of this fascinating frontier town is Camp Ripan, a hotel and campsite that allows views of the northern lights and the midnight sun – depending on the weather and the season, of course. 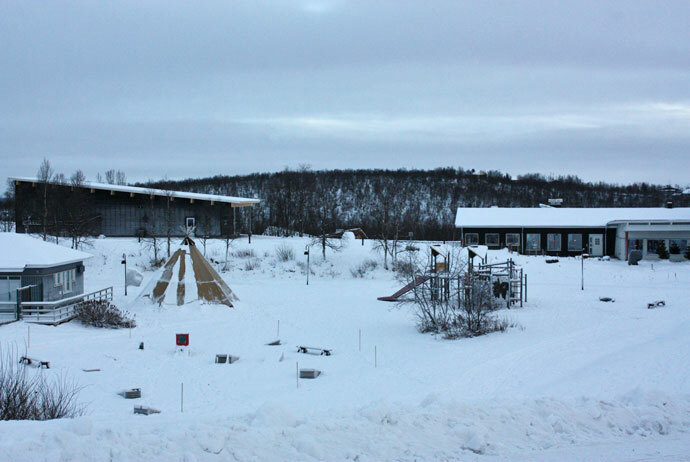 Its cosy chalets are reasonably priced (for this part of Sweden, anyway) and there’s an onsite restaurant serving local fish and reindeer meat. The island of Gotland is synonymous with medieval architecture, stunning natural beauty and a surprisingly mild climate, which makes it a top spot for Swedes on their summer holidays. But the island’s most unusual hotel has much darker connotations. 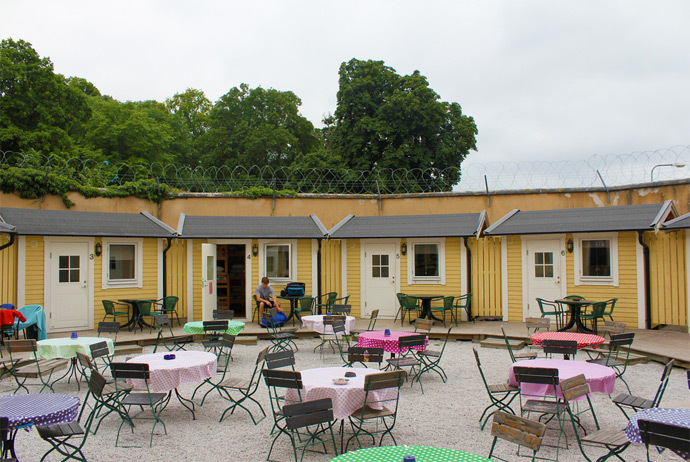 Until 1998, Visby Fängelse was a fully operational prison; shortly after the last of its inmates were released, it reopened as a hostel. Guests can choose from a wide variety of ‘cells’, ranging from regular dormitories to multi-bed cottages surrounding a picturesque courtyard. Overhead, the seven chimneys that gave the prison its nickname (‘Sjumastaren’) still look out over Visby harbour. Northwest of Gothenburg on Sweden’s windswept west coast, Salt & Sill is a wonderfully tranquil place to spend the night. 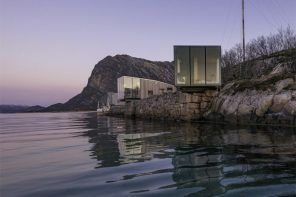 The hotel hugs the waterfront on the tiny island of Klädesholmen, which is home to just a few hundred people, and offers gorgeous views out over the low-slung islands of the Gothenburg archipelago. Although this is a quiet place, there are plenty of slow, wholesome activities to enjoy, from fishing and swimming to taking lazy bike rides (it’s joined to its neighbour by an impressive road bridge). 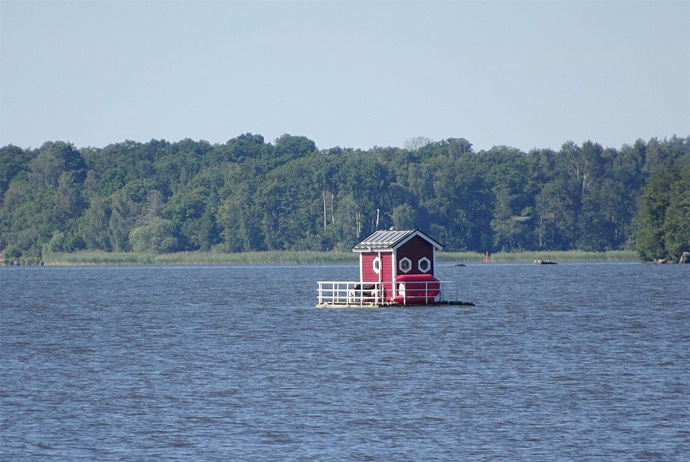 This part of Sweden is famous for its seafood, so you’d do well to check out the hotel’s restaurant, which has a deck right by the water’s edge. 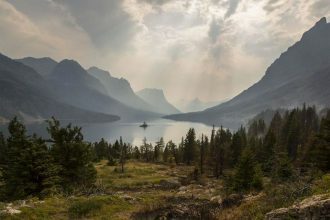 These places all look amazing! Believe it or not there are even more – maybe we’ll expand this guide soon!